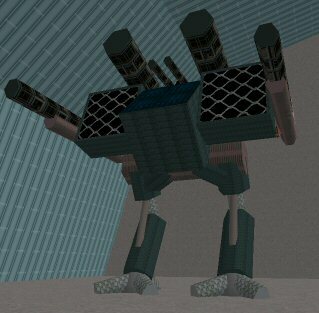 DCorp's Wraith OdA-600 is the heaviest of all the mechs employed by Swarmy. Wraiths are heavily armored and are used in very hot areas. Their armor allows them to bullcharge through the battlefield ignoring lighter opponents and focus on eliminating the biggest enemy threats.